MONK Garan is a Aura&Cool-down Timer for Brew-master. 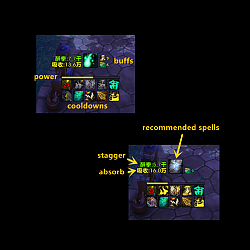 This mod gives you advice on next ability should be used and reduce the waste of chi and power. If Keg Smash's cooldown is less than 1s(changed from 2s) or it's ready, the button shows Keg Smash's icon(condition1). You see, WWHelper and BMHelper are released almost as soon as the site set up download category for mop. they need to be improved in many ways now.So I'm currently doing a completely rewrite of WWHelper and BMHelper. 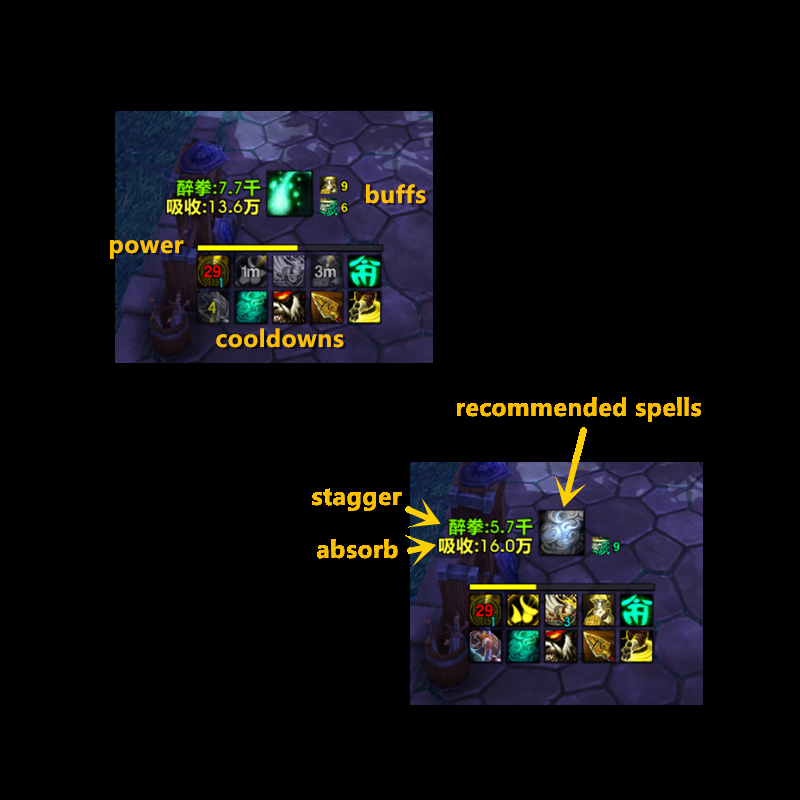 Create an Aura tracker of stagger showing its stacks. Enable Use tooltip "size" instead of stacks. I not going to make a separate one for stagger. Because other addons like Tao already have done. Hi there, i used this addon for a fair while when it was first released as i liked the timers and everything on it, but without any real Customization unless you know Lua your kinda screwed for setting up positions on everything. But for a quick put together i find it does its part. But onto what i was actually here for was to do with your stagger tracker. Now that things like NTK & Weak Auras are working again ive kinda not had the need for this addon in all its abilities. But 1 thing keeps making me load it back up is the Stagger tracker. Now ive tried using Tao but just dont really like the way it displays and find it rather clunky. So what i have to ask for you is. Is it possible for you to either write down here for others that might want to just edit their Lua and throw it in - or possible for you to make a small seperate addon with just the stagger tracker in it ? If the 'size' of Stagger on button 4 is not correct. Add your Localization-xxXX to it. When it works correctly, please post things you added(see the red part) on the comments so that I can improve the addon. I was looking forward to a Beast Master addon, but I like the look of that one and so have Bookmarked it - for future reference.